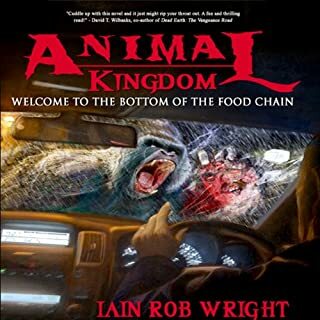 I really enjoyed this book, except for the killing off the animals, lol. In my opinion, this was a really well written story, well rounded and very captivating. I cheered, I cussed, I routed, I giggled, I wss sad, I was really drawn in. Imagine being I a zoo with your child when all hell breaks loose. You are now being hunted by the animals that are no longer captive. 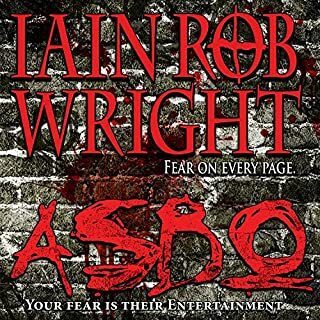 In my opinion the writer and narrator did a great job keeping you drawn in to this awesome thriller. I highly recommend this book, tho not for young ones. Your fear is their entertainment... Andrew's life is one of bored contentedness: a teenage daughter, a faithful wife, and a middle-class job. He even has a Mercedes. His life is without drama, and the comfort of middle-age is setting in. That all changes when he refuses to buy a pack of cigarettes for the local gang of youths. Led by the emotionally unstable, and sadistic, Frankie, the gang target Andrew and his family in an escalating campaign of terror and violence that threatens their very lives. Baring in mind this review is only my opinion, please do not judge the book solely by my review. I would say that this is more of a psychological thriller than "extreme horror". This was a very good book that (in today's world) you can imagine this happening. An innocent man is approached by a group of psycho thugs and when the man doesn't do what they want the thugs terrorize him and his family. At first the Man tries to be passive and doesn't tell his family about the incident but as the encounters with the thugs continues he must then tell his family and the police. From there things escalate to nightmarish levels. Although there is blood and gore described in detail (I wouldn't recommended this for young readers) I , personally, wouldn't describe this as "extreme horror", I would class it as an "extreme psychological thriller". It's a well rounded story, the characters are also well rounded. The narrator did a great job as well. When Tom awakens, he is greeted by law enforcement, medical treatment, and a sense of normalcy - all the things that have been missing for the last day. What Tom doesn't know is that some nightmares are meant to be relived, and The Great Storm is far from finished. I couldn't wait to get through book 4 so I could get to book 5, lol. Book 4 did not disappoint, it continued where book 3 left off. As with the other books in this series the narrator did a phenomenal job adding emotion to the story keeping you pin the edge of your seat. Give the series a try, I suggest reading them in order. This series won't disappoint you. Mr. Piper, this series was fantabulous ! ! I was happy and sad to see it end in book 5. You did a great job keeping the story going with action, suspense and the reader/ listener tuned in throughout the series. 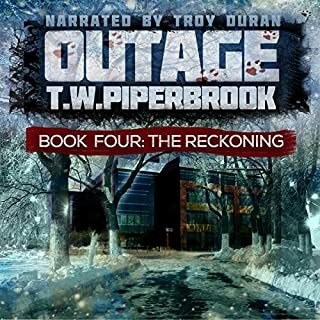 Survival is just the beginning...Having escaped the hospital, Tom must face a new enemy: himself. New questions arise as he travels through the white wasteland. Will he survive the remainder of The Great Storm? More importantly, does he want to? having finished book 5, in my opinion, it was a wonderful wrap up of the series. The narrator was the same in all 5 books, which you me is a BIG plus. Troy did an excellent job work the characters. He was great in keeping the suspense of the story, sometimes I'd be on the edge of my seat, lol. Mr. Piper did a fantastic job with the story, he kept me very engrossed, cheering for Ton as he made his way through the new world he was thrown in. You'll cheer for the good guys and cuss the bad. He also ended the series well rounded. Thanks four reading my review. When I started this book I didn't think it would be so fantastic. I went by the description when I bought it thinking it's a great price for 3 books and it would be something just to pass time. Boy was I wrong, lol. The narrator was fabulous, he played all the characters extremely well. I was able to keep up with who was "talking" while I multitasked, as usual, lol. He keep me so engaged at time I wished he'd speak faster, lol. This book is a real page turner. In my opinion the author did a great job rounding out the story and I'm going to jump right into book 4. There were so many twists and turns & surprises. 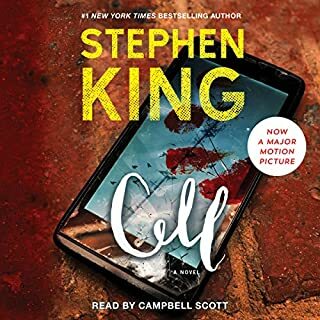 I'm not one that cheers on any character in any of the books I've read our listened to but my goodness, as I was doing other things I actually heard myself trying to coax the main character Tom into what to do it not do, lol. This book does not disappoint the reader or the listener in any way. There's very few cuss words and no sexual parts. Just a fantabulous story, storyline and characters. I did cuss out a few of them tho, lol. I was skeptical at first when I saw the time on this book, but I was amazed at how much this book contained. The narrator Eric Dove did a wonderful job keeping the characters and story alive. He was able to draw you into the story very well. He also gave each character and different voice, which I find a wonderful contribution. 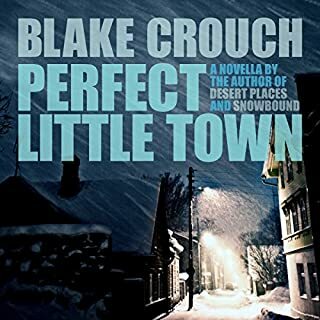 Blake Crouch did a wonderful job at (what felt like) making you feel this was a full novel. To me it also felt refreshing that Mr. Crouch brought the characters and story full circle. Each character had a sufficient background, the story kept you wanting more, I'd even enjoy a second book especially if it was a full novel. Even if it was a prequel, is be interested in more of the towns history. Twenty years ago a young cop named Jacqueline "Jack" Daniels arrested one of the most sadistic killers she'd ever encountered. She has since retired from the Chicago Police Department in order to raise her toddler daughter. But old grudges never die. They fester until the right opportunity comes along. 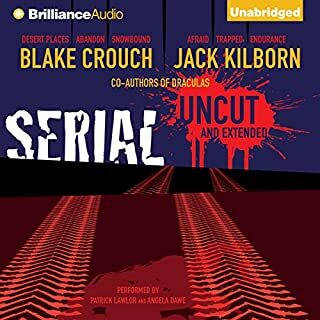 While on vacation in the Wisconsin North Woods, Jack learns - too late - that her old adversary is out of prison. He has revenge on his mind. And he's bringing an army with him. ......... a Konrath book has not rec'd an ask 5 star rating from me. 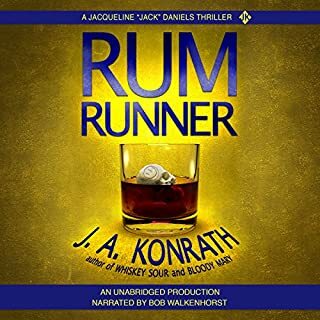 I've listened/read just about all Konrath books and was sorely disappointed in this and Last Call (as well as Webcam). I've listened to many audio books over the years and to many different narrators. In my opinion Bob Walkenhorst is one of my least liked narrators. It is my opinion that he gave nothing to separate the different characters, I spent too much time trying to figure out who was "talking" threw out the book. In my opinion, his voice did not give any emotion to the story. Mostly due to the narrator, I struggled to get thru this book. Needless to say, I was extremely disappointed in the three books that he had narrated thus far. As fir the story line, it was ok. I felt that it was rushed, it did not compare to the others that came before this. I was disappointed in the way that the Jack Daniel's character developed in this book. I do understand where Mr Konrath was trying to go with herbut to me, I think he missed the mark or maybe went to far. Again this is only my opinion and I thank you for reading my comments. The two narrators were very good with giving the characters life and drawing you into the story and lives. Tho I would've preferred the male doing all male voices and the female doing all the female voices. That being said Patrick Lawlor did a good job of using "different" tones/voices so you could easily keep up with who was who. The stories themselves were very good and kept your attentionand wanting more. The cause of the devastation is a phenomenon that will come to be known as The Pulse, and the delivery method is a cell phone. Everyone's cell phone. 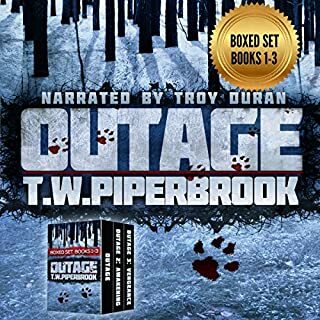 Clay and the few desperate survivors who join him suddenly find themselves in the pitch-black night of civilization's darkest age, surrounded by chaos, carnage, and a human horde that has been reduced to its basest nature...and then begins to evolve. In the beginning it took me a few chapters to get used to Campbell Scott's voice, not that he has a bad voice, he has a nice voice. He did a wonderful job narrating and bringing the characters to life. The story, was writing in depth and is believable as a possibility. Not being well read with Stephen King's works and writing style my review is from a new listener/reader. 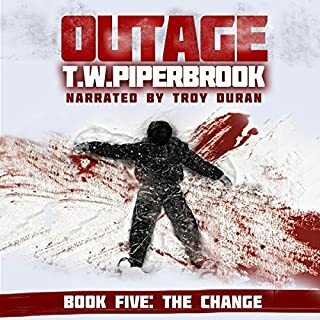 The story evolves very nicely, the chargers are well rounded and the base of the story revolves around a group of strangers that must work together to survive a catastrophic electronic pulse transmitted via cell phones. The people in this group of strangers only survived because they either didn't have their cell phone or they didn't answer it when it rang. Those that did answer theirs either died or changed into a mindless being. I found this to be an addictive read. The narrator and author were able to draw you into the the characters, cheering them on and caring about each of them. There are quite a few shockers, many twists and turns. I found it to be, suspenseful, a little on the thriller side, dramatic and also a few chuckles, here and there. Personally, I can't put it into the horror genre, it did have a slight bit of gore. To me, the ONLY down side was the end. It's definitely worth the listen/read and I will most likely listen again in the future. Jeremy Bishop's first pulse-pounding novel is a horrific tale of post-apocalyptic terror that is one part zombie story and one part Dante's Inferno. The story asks hard questions and generates strong emotions in everyone who reads it--anger, excitement, and most of all: FEAR. This book asks the question that everyone is afraid to answer: Are you ready? Enter the mind of Jeremy Bishop if you dare. Share his nightmares. Experience the fear that shaped his life. You may never be the same. R.C. Bray dud a great job narrating the characters. He made you feel the characters experience. 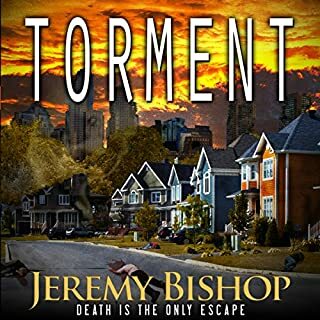 This is my first read/listen to Jeremy Bishop. Being a classic horror fan, enjoying blood & gore, I was very pleased with this book. It did remind me of the classic thriller/horror genre. The details were great, character development was wonderful, you were able to get to know them and feel for them. The story took you full circle, I didn't find myself rewinding or searching back to find out who characters were. This is a type of zombie story, with a handful of survivors of anuclear blast trying to find a safe place to gather their wits as they try to understand what took place on earth. They are continually hunted while on the run. This story did not get that gruesome, so it's safe for those faint of heart but also enjoy a fast paced story. I did not feel that anything was left out or left my with unanswered questions. As the story develops, you may think you have it figured out a few times but you'd be surprised at the final outcome. Thank you for reading my review and I hope you enjoy this as much as I did.